Greetings, Boils and Ghouls! Today we begin a new series on The Big Scare featuring images that will bring the Halloweens of Yesteryear to electric life! 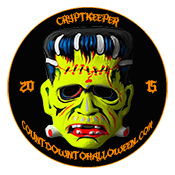 We have created several galleries of vintage Halloween cardboard die cut decorations for your booing pleasure. In the 20th century, these paper cutouts adorned windows and walls in homes and schools during the month of October. The earliest ones started appearing in the 1920s. By the 1950s, they were staples of the season. Nowadays, there aren’t that many being produced, and the ones that are being created are nearly all computer-generated. Fortunately, we have nearly 100 years of cardboard die-cuts to draw from for our galleries. What’s more, every die-cut that will be featured in our galleries is hand-illustrated, designed by an artist or team of artists who captured the spirit of the season with old-fashioned ink and paint. 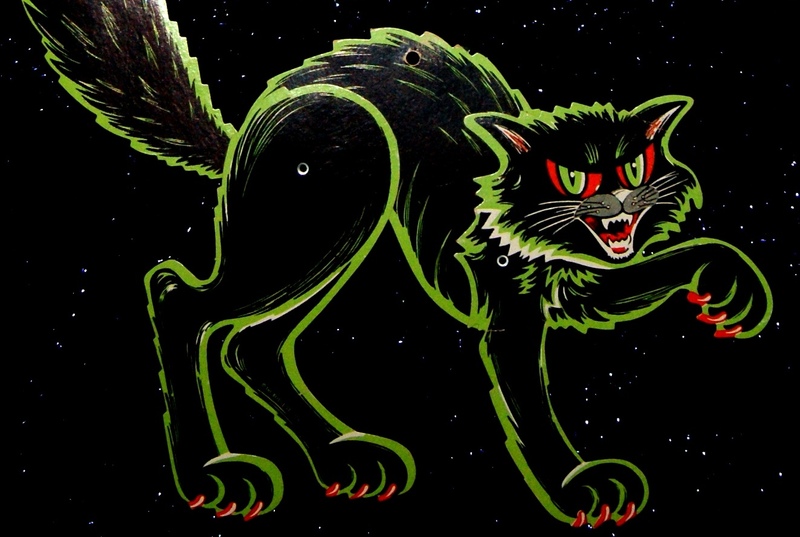 We launch our Halloween die-cut gallery series with images of one of Halloween’s foremost icons: the black cat! Enjoy! And come back in two days for more devilishly delightful die-cut art!